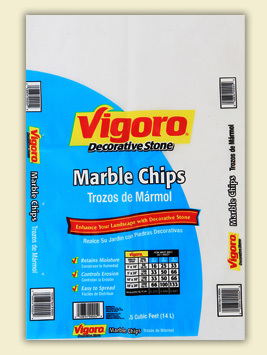 PolyPak's custom decorative rock bags are made of clear “V” ZUH™ film known for its remarkable strength, excellent clarity and gloss, and ability to bring out the full beauty of the product inside. The bags are designed for excellent sealability especially under dusty or damp conditions. PolyPak produces rock bags as well as roll stock to be packed on automated Form Fill and Seal (FF&S) machines. Our rock bags have non skid surfaces for palletizing and safe shipping. However for the best shipping stability we recommend embossing the bags or roll stock. 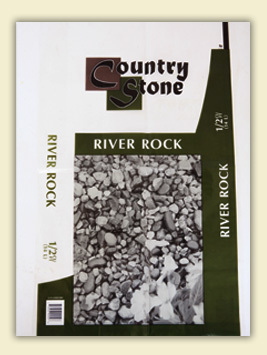 PolyPak can custom print your decorative rock bags in up to 8 colors on one side or both sides if you desire.